March 29, 2017 - Toronto, ON – The Corporation of Massey Hall & Roy Thomson Hall is pleased to announce The Slaight Family Foundation’s generous donation of five million dollars to the Massey Hall Revitalization. In appreciation, Massey Hall’s iconic stage will be named The Allan Slaight Stage, dedicated to Slaight patriarch, founder and broadcast pioneer, Allan Slaight. The Allan Slaight Stage will be adorned with nameplates honouring the broadcast pioneer and philanthropist. In addition, a hand carved plaque has been commissioned to be displayed in the Massey Hall lobby to honour Slaight for his contribution and leadership. This Slaight family donation, in part, ensures that the stage will be restored so that future generations of music fans can continue to witness legendary performances in this national music institution. 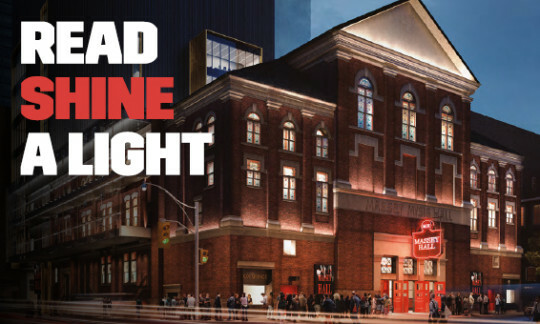 The Massey Hall Revitalization, a seven-year multi-phased project, will result in both the exterior and interior restoration of the building and a new addition connected to the south of the National Historic Site. The expanded footprint will provide much needed space for enhanced and accessible artist and patron amenities. The Revitalization also marks a commitment by the Corporation to continue to invest in artist development, education, and audiences, while embracing technology as a tool for enriching ways in which Massey Hall is experienced. 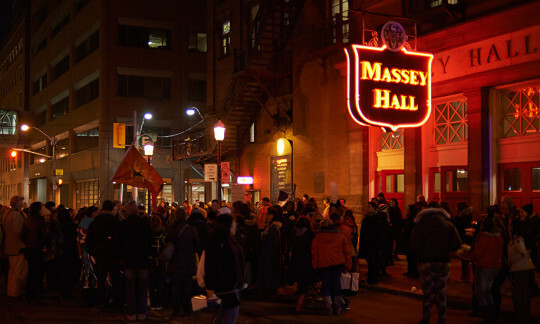 The Massey Hall Revitalization will ensure that the hall continues to contribute to the lives of Canadians through arts, employment, and cultural celebration for generations to come. Today’s announcement honours the spirit of Hart A. Massey and his dream to build Massey Hall as a memorial to his son Charles Albert Massey as a gift to the citizens of Toronto. The intention of the Hall was to cultivate and showcase and support the arts and music for all walks of life, much like the passion behind The Slaight Family Foundation. Established in 2008, The Slaight Family Foundation is committed to making a difference. The Foundation supports projects related to health care, social service initiatives, arts and culture.